Star Fox hasn’t seen a new game for the past 10 years, the last one being Star Fox Command for the Nintendo DS. The series has also been known to try out odd experiments that haven’t panned out all too well (see Star Fox Adventures and Star Fox Assault). 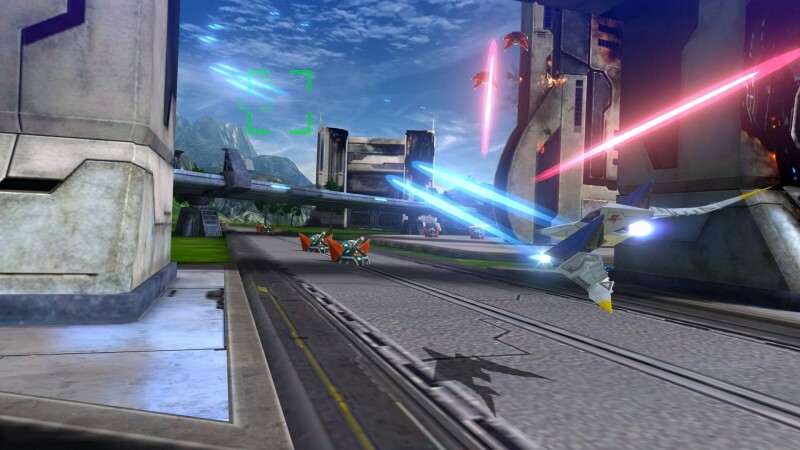 However, Star Fox Zero aims to bring everything back to the basics, while also implementing some fresh ideas. No more delays, let’s hop in our Arwing and get this show on the road! For starters, Star Fox Zero is a re-imagining of Star Fox 64, what many fans and critics consider to be the best in the series. The premise is the exact same, but the events that take place in between are different. For example, you begin at Corneria but instead of fighting a giant robot at the end, you fight a giant saucer trying to kidnap General Pepper. The game can be completed in 2 to 3 hours, but that is to be expected from a Star Fox game. It’s all about replaying the levels to find hidden medals and secrets that will unlock different branching paths. It didn’t occur to me until much later that some of these branching paths are HARD to find and most of them require beating the campaign first, like the first alternate path in Corneria which you can only access using the walker mode acquired later. These routes won’t always lead you to other planets, but will most likely trigger different areas from the planets or sectors. One transition had you playing as the Arwing in the Zoness Stealth Mission even though it’s originally played with the Gyrowing, but more on that later. How the game plays is where the worries stem from. 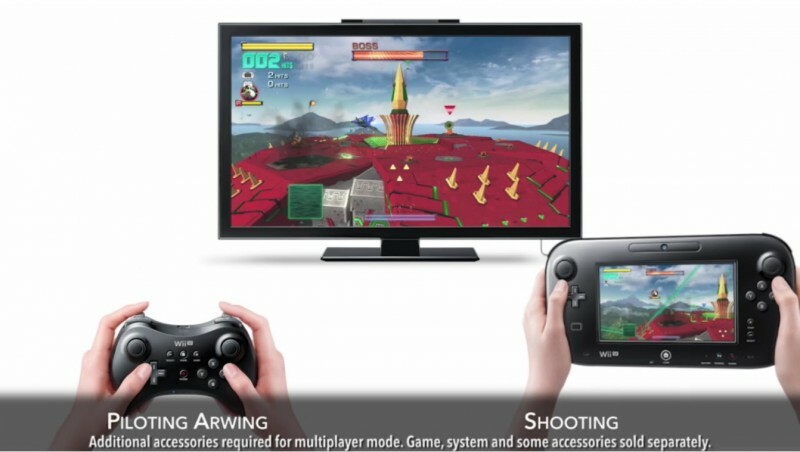 You aim using the Wii U GamePad’s Motion Controls and there’s no way to turn them off. Even if you enable the option to activate motion controls only upon using the ZR button, it still makes no sense because that’s the button you shoot with anyway. The GamePad screen makes way for a cockpit view that you can switch to the TV with the select button, the problem is that it becomes a necessity during forced perspective boss-fights. This is when the camera locks on to the boss automatically, FORCING you to rely on the GamePad screen, and it feels about as awkward as you would expect. I know I’ve mostly complained about this game so far, but in the grand scheme of things, Star Fox Zero is actually the sequel fans have desired since Star Fox 64. It helps a ton that the base game is largely similar to that of 64, but it manages to hold its own pretty well. Alongside the traditional on-rail and all-range modes in the Arwing, the Walker mode from the canceled Star Fox 2 makes its official debut adding some new depth to the levels. Even though it controls a little wonky, it’s easy to get used to if you don’t mind the motion controls. The Landmaster has also been given the upgrade of flying for as long as the boost meter allows. However, the Gyrowing is by far the least welcome addition, being the main vehicle for the Zoness Stealth Mission, the slowest and most tedious level in the entire game. It’s less painful after the first run, but I groan every time I have to go back to it. Star Fox Zero was meant to come out in November of last year, but was delayed to this month in order to give the game a “Platinum Feel”. Of course, they’re referring to co-developer Platinum Games known for their intense hack-and-slash titles such as Bayonetta, MadWorld, and Metal Gear Rising. Did they achieve said “Platinum Feel”? Kind of. It’s not the most intense game on the block, but it looks extremely better than what we saw at E3 2015 with polished graphics and more on-screen enemies. Just goes to show how well delays can pay off. A lot of people have complained about the graphical presentation, but I think it looks totally fine. For a game about anthropomorphic animals shooting each other in space, it looks about as good as you’d imagine. The problem the engine has is that it tends to lag when the action becomes too much to handle, kind of defeats the purpose of that Platinum Feel, doesn’t it? Thankfully these weren’t enough to hinder my experience. After you beat the main story once, you are free to choose whichever planet you’d like to revisit, and you can play co-op with a friend. 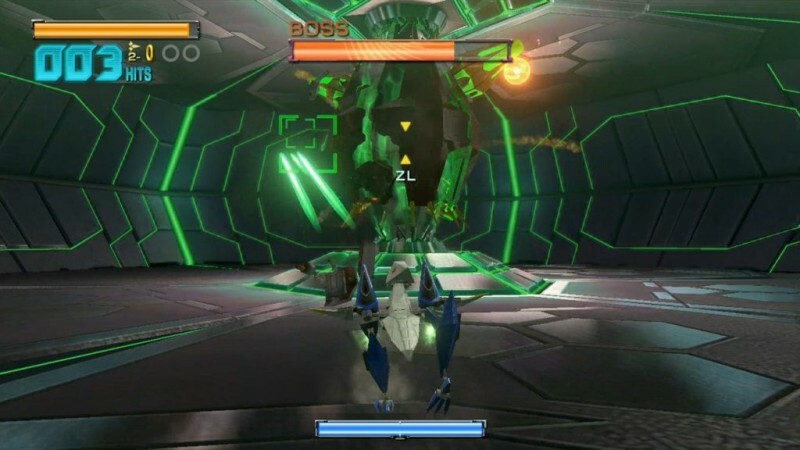 In this mode, one person controls the Arwing while the other controls the gun using the GamePad. Oddly enough, I didn’t really like this mode; it’s tough to control the gun when the other person is flying in all-range mode because they’re usually going the opposite direction you want them to. It also could be that my pilot is an idiot. (Shout-out to Alan for being the worst wingman in the Lylat System!) If the main missions tire you out, there is a training mode where you can not only learn to play but collect coins in a race against the clock. It isn’t too riveting and is mainly just a time-waster. Challenge missions are also available in the training mode, mostly consisting of destroying enemies in a specific period of time and these are way more fun than collecting coins. Most copies of Star Fox Zero came with the game Star Fox Guard, which I will be doing a review of very soon. Star Fox Zero has a number of flaws. Force motion controls and a shortage of content keep this game from being great, but I still stand by the notion that it is the sequel Star Fox fans have deserved. By combining the right amount of nostalgia with a good amount of freshness makes this game a must-play for fans of the series. If you’re on the fence about it though, I would recommend waiting for a sale or price drop.